Discussion in 'TV on DVD and Blu-ray' started by Gary OS, Feb 1, 2019. Word has it that ClassicFlix will be releasing Public Defender sometime in the near future. Gary “while I’d rather have seen Racket Squad, this is still welcome news” O. "Do not challenge supernatural unless armed with sword of truth"
Bert Greene, Purple Wig, ChrisALM and 6 others like this. Thanks for that info, Gary! Like yourself, I'd prefer Racket Squad if it was a choice between the two Reed Hadley shows, but I'd also be glad to have Public Defender complete. I don't even know how many episodes there were in Public Defender's run...39? In addition to this, I really hope that Film Chest has Wire Service in the works, as has been suggested by themselves in the press release for their phenomenal complete series of Decoy...one of my favorite DVD releases in the last several years...totally unexpected, bargain basement pricing, and for the first time complete with all 39 episodes derived from mostly great 35 mm film sources of this wonderful PD series. I checked Film Chest's site recently and couldn't find those references to a possible Wire Service release. I'd love to have all 39 episodes of Wire Service derived from film sources of the calibre they found for Decoy. Very grateful to the wonderful ClassicFlix for the superb Blondie release! Keep the B+W TV coming! Bert Greene, ChrisALM, RBailey and 4 others like this. Thanks for the great news, Gary. I will definitely purchase this when it is released. Bert Greene, Jeff Flugel, Gary OS and 3 others like this. I’m with you! Keep the b&w TV series coming, please! Gary “looking forward to the many second tier stars that guested in this series” O. Professor Echo, ChrisALM, Darby67 and 2 others like this. Not familiar with this series, but am always happy to see a new vintage television release. Thanks for the heads-up, Gary! ChrisALM, Darby67, Gary OS and 1 other person like this. 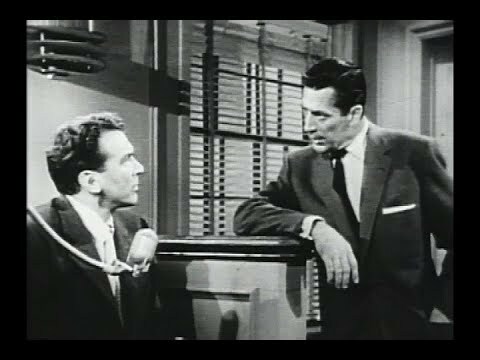 Here are a couple of episodes of Public Defender. Some episodes have been released previously on DVD by Alpha Video. ChrisALM, Darby67, Gary OS and 2 others like this. I'm pretty excited with this news. Although I have slews of episodes from the series, ranging from off-air vhs recordings from the Nostalgia Channel to the Alpha cheapies, the prospect of having them looking sharp and in chronological order is extremely welcome. I love these types of shows from this era from Roach, Ziv, Roland Reed, Revue, Grosse-Krasne, and such. While low-budget, I find them so breezy and enjoyable. I never seem to tire of them. Looking over the episode guide to this 1st-season, I see so many names of folks I like that are populating the guest credits, from main characters down to the supporting roles... Frances Rafferty, Hugh Beaumont, Allene Roberts, Merry Anders, Harry Carey Jr., Sally Fraser, Marie Windsor, Jimmy Lydon, Robert Armstrong, Mary Beth Hughes, Don Haggerty, Mae Clarke, John Eldredge, James Flavin, Claudia Barrett, James Gleason, Marshall Thompson, Ann Doran, and even Henry Kulky and King Donovan. Yep, I can't go wrong here, with this kind of fun stuff. Professor Echo, ChrisALM, Darby67 and 3 others like this. I also would prefer a complete Racket Squad DVD set but AFAIK, the only place where there are a full set of episodes are is at UCLA. They have all of the prints, negatives, etc. Republic was the syndicator for the series and when their rights expired, Hal Roach Studios was long out of business. Not having any place to return them to and having the good sense not to just toss them in the dumpster, they donated all of the elements for Racket Sqaud and for Code 3 to UCLA. Infinity paid to have Code 3 remastered but after their Man With a Camera release sold poorly, they chose not to release it. From what I understand, they have been trying to sell those remasters ever since and trying to recoup the 40K or so that they paid for the transfers but so far they haven't gotten any takers. Flashgear, Jeff Flugel and Darby67 like this. No offense Darb, but I’m so, so grateful it is indeed Public Defender, and not that oppressively claustrophobic, depressing, preachy show you mentioned. Ugh. Gary “night and day difference between the enjoyability factor of those two shows for me” O.
bmasters9, LeoA, Bert Greene and 2 others like this. Got an email from ClassicFlix making it official. The 1st season will be released on April 23rd! Flashgear, ChrisALM, Bert Greene and 1 other person like this. It's nice to have an actual release date; thanks for the update, Gary. Flashgear, LeoA, Bert Greene and 2 others like this. Why do you think that The Defenders is, as you say, an "oppressively claustrophobic, depressing, preachy show"? Are the scripts written to hit someone over the head with a specific message every time, so to speak? They're written to make people actually think about both sides of serious issues, as opposed to the usual mindless dribble which television mostly spewed out. Not too dissimilar to the similar issues that were displayed in the Twilight Zone, which couched them in science fiction and fantasy in order to make them more palatable to the thick skulled members of the population. Kind of like how a parent would have to mix medicine in with chocolate syrup to get a child to swallow it. Guy Foulard and bmasters9 like this. Are the scripts written to hit someone over the head with a specific message every time, so to speak? LeoA, Bert Greene and bmasters9 like this. That's what I thought! How, in your opinion, has it done that? Well, this is a Public Defender thread and I really don't want to derail it by having long drawn-out discussions about what I didn't care for in another series. I'd suggest you look at that original Defenders thread where this was discussed by some of us that aren't huge fans of that show. Will do-- thanks for the tip! As a jumping on point, you might want to start reading at page 26 in that other thread. The discussion from many of us is summed up there. Seems like it might be pretty interesting!